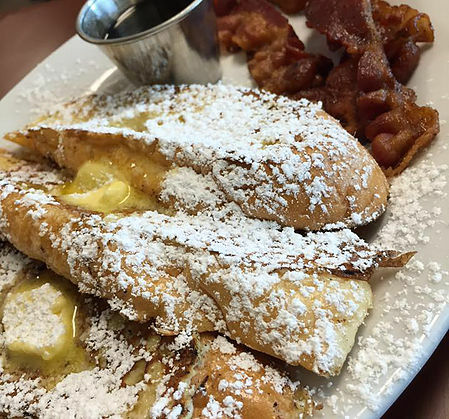 At Beignet Cafe we serve up some of your favorite New Orleans dishes with a southern flair. Indulge in fresh beignets, Po'Boys, jambalaya, gumbo and more! 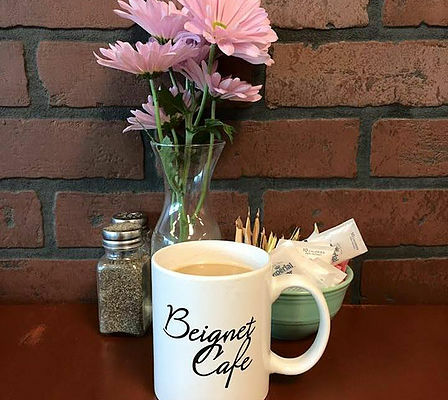 Established in August 2015, Beignet Cafe was created to offer a fun and exciting breakfast and lunch menu to the community. Owned and operated by Drew and Denise Tyriver, who also own the popular Ole Hickory BBQ in New Market, this concept offers us an opportunity to have fun with some of our favorite New Orlean's recipes combined with some southern flair! Madison, Alabama was the perfect spot to open our 2nd Beignet Cafe and this happened on March 30, 2018. This location has proven to be a busy spot with amazing guests and community support. We are thrilled to be here! We are available for Breakfast, Brunch or Lunch Caterings, and Dinner. Interested in renting out our space for an after hours party? Let us know! If you are traveling US 72 West, take a left onto Hughes Road. We are 1/4 mile down on the left hand side. From Madison Blvd, turn right onto Hughes and go almost to the end. Plaza on the right.